Resurrection is sort of a big thing right now. We brought back "Mad Max," "Ghostbusters," even Tupac. 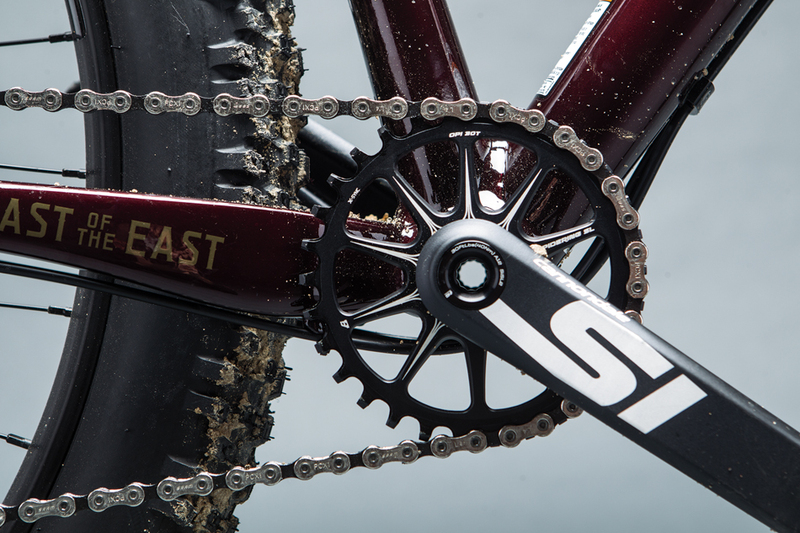 And the rising tide of plus-size bikes has brought back Cannondale's Beast of the East. More of a design concept than an actual model, the original Beast of the East went by the name M800 for most of its near decade-long presence in the Cannondale lineup. The principal traits of the unorthodox frame were its improved toptube clearance and a bottom bracket that measured more than an inch higher than its siblings. The odd, fully rigid Beast was the '90s' best stab at an aggressive, technical hardtail. Like Tupac, it was innovative and gathered quite a following. Unlike Tupac, it hasn't aged well and we're kinda' glad it was put to rest before the decade was out. The $2,130 Cannondale Beast of the East 2 you see here has shed its namesake's less-desirable attributes, but it embodies the same playful spirit. Given my BMX background (and foreground), I'm intrigued by the promise of a hardtail that's fun to flog in ways that nowadays only suspended bikes are game for. Given the right terrain, a big-hit hardtail with the right geometry can be plenty of fun. But most riders don't have access to the rolling loam of the Northwest or the clay ribbons of the upper Midwest for which those bikes were born. Fortunately for those of us in rockier regions, plus-size tires have made the hardtail great again. Cannondale specs WTB Bridger tires across all three Beast models. 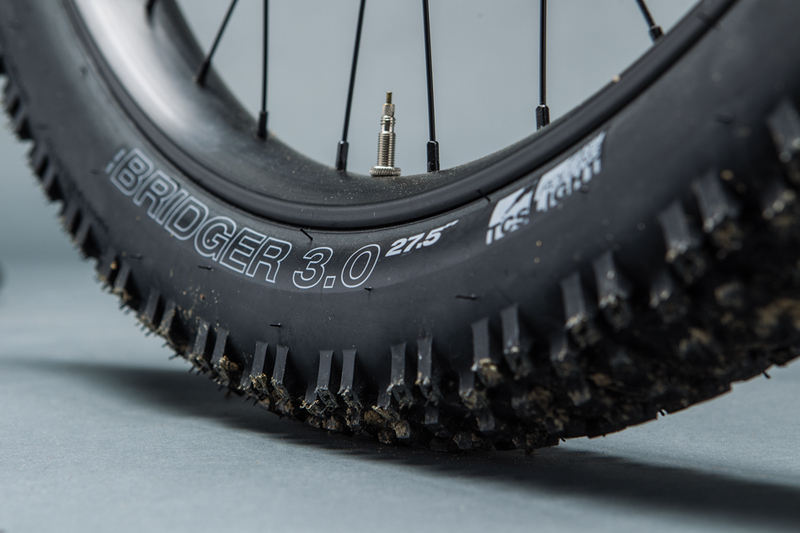 The 1,200-gram, 3-inch rubbers aren't shy about their extra heft. Nor are Cannondale's 45-millimeter-wide Beast rims. 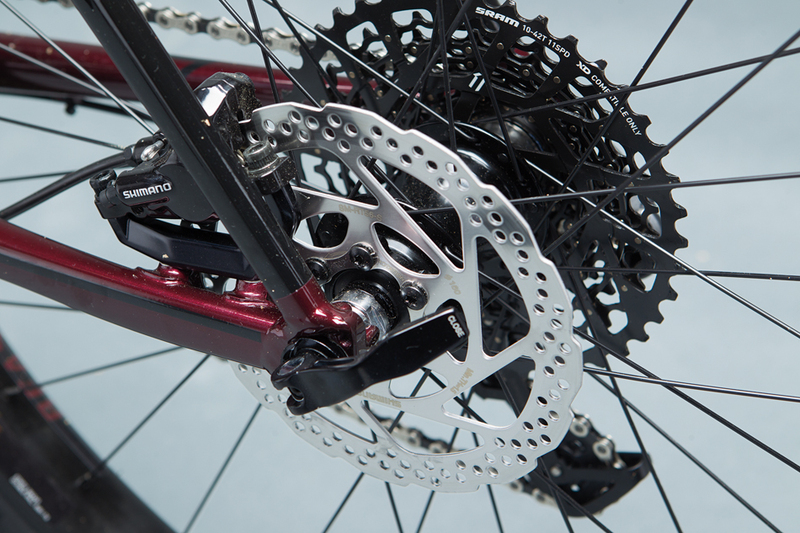 Shimano Deore brakes aptly keep their momentum in check, thanks to the same trickle-down engineering that brought us the bike's SRAM GX drivetrain. One-by setups are spec'd throughout the lineup, though all the frames feature a front derailleur mount. An unused two-by option might seem odd on a plus bike, where space is at a premium, but Cannondale wanted the Beast to be versatile as well as appeal to corners of the globe where front derailleurs are still cool. The Beast still manages ample tire clearance and respectable 435-millimeter chainstays thanks to Cannondale's asymmetric rear triangle, which nudges the drivetrain slightly outboard and offers no-dish wheel lacing to boot. The only feature missed in the build is a dropper post, but I believe that important decision should be left to the rider anyway. The frame supports both internal and external routing, so go nuts. The bike certainly deserves it. Before settling into any plus-size bike, it's crucial to dial in your desired tire pressure. If there's one complaint you'll hear about this relatively new category, it's that the tires can feel a little squirmy. There are a lot of variables and no rule of thumb like there is in suspension setup. Twelve PSI up front and 14 out back ended up being the sweet spot for my 185-pound frame. Pedaling felt firm and efficient over smooth sections, but the tires would yield on impact with sharp edges. It was easy to ignore that I was spinning more than 5 pounds of rubber up the hill. The Beast is remarkably calm and comfortable to pedal. It thankfully dropped the excessive ground clearance for which its predecessor was known; ironically, this Beast's bottom bracket is nearly the lowest in the entire 27+ category. The RockShox Reba's remote Poploc is a welcome companion to the supple tires. With such a minimal sacrifice to comfort, a front lockout becomes especially practical. In fact, you'll often see plus-size bikes set up fully rigid. I had access to so much traction that I regularly found myself out of the saddle, scrambling up sections I might normally walk. When unlocked, the Beast offers 120 millimeters of front travel. There's a reason most 27+ hardtails run trail-length front ends. It feels natural and balanced, though I had to remind myself that it is still a hardtail. Occasionally, I would charge full speed into a minefield like I was on my 5-inch-travel trail bike, and I would rattle my fillings loose. The Beast surely likes to go fast, but at the right time and place. It was quite a feeling to float over fields of washboard dirt and golf-ball sized debris with the traction of a full-suspension and the playfulness of a hardtail. There's some noticeable gyroscopic feedback at speed, but it's not hard to get used to. The stout rim and tire combo rarely squirmed, and the few times they did, the force might have sent a traditional bike sliding off the trail. So it's fun to go fast. No big surprise. Personally, my favorite situations to put any bike in are actually the slowest ones. On the rutted, overgrown chutes of coastal Southern California, speed is often the enemy. But the endless traction and low, forgiving stance of the Beast allowed me to not just survive, but play around with sections that would otherwise be calling the shots for me. We're right to be skeptical of reboots. They don't always go as planned. They're never going to be the same as the original. But oftentimes, that's a good thing.